This Kickstarter I’m about to feature just whizzed right through me because it’s got a few hours left. 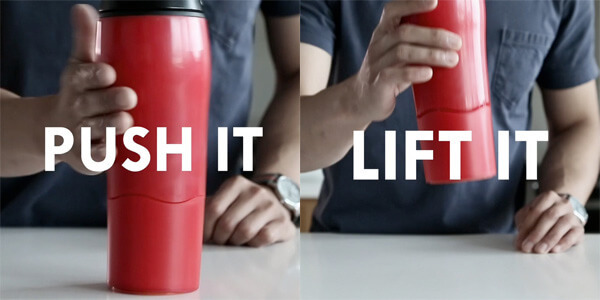 Created by Jayme Smaldone, the Mighty Mug is a mug that just won’t tip over. It does this by using seemingly new “Smart Grip” technology, which is kinda like a gravity based suction cup that doesn’t need much pressure, meaning it’ll resist a lot of pressure from the sides, but can easily be lifted vertically. I’m not sure what takes me more: The fact that this technology exists, or that it’s so simple, I wonder why it hasn’t been invented years back. I find this technology quite interesting because it opens up possibilities for new products. Basically anything that needs to grip to a wall or the floor and be easily removed benefits from this. Tablets, clothes hangers, play pens, wire clips, you name it. Whatever you need a huge amount of temporary friction for, this Smart Grip is quite the innovation. 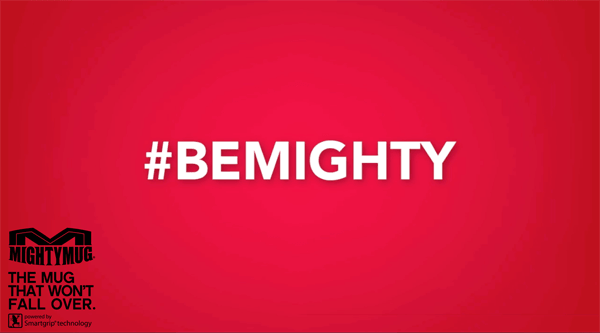 The Mighty Mug is available is five different styles and a multitude of colors. I say multitude because even though the Kickstarter page shows a fairly limited number of colors, their website definitely shows a lot more options. What the Kickstarter campaign lacks though is creativity. When in other campaigns, you’d expect the higher pledges to receive limited Kickstarter-only bonuses, all you get in the Mighty Mug campaign is… more Mighty Mugs. It’s no surprise that the highest backed pledge is $200 with only one backer, where you get a set of ten, and the pledge with the most backers is at $35 where you get a single stainless steel mug. 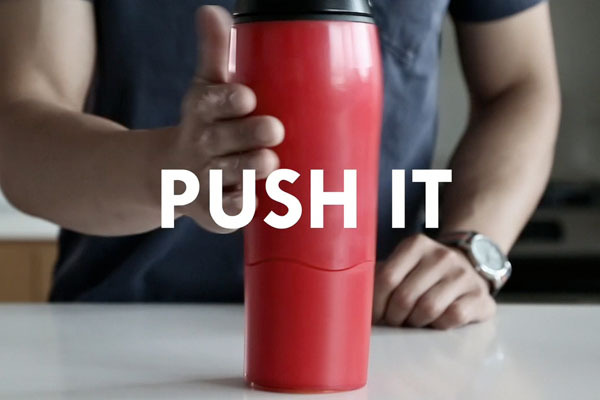 Right now, the mug is a good start, but the Smart Grip technology opens up doors for other, similar tech and a ton of new business ventures.